X-Men Unite! 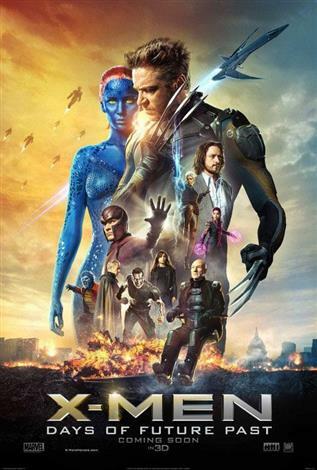 An all-star cast, including Hugh Jackman, Michael Fassbender, James McAvoy, Halle Berry, Jennifer Lawrence, Ellen Page, Ian McKellen and Patrick Stewart assemble and prepare for battle in this awesome adventure packed with nonstop action and excitement. As armies of murderous Sentinel robots hunt down mutants and humans alike, the unstoppable characters from the original X-Men film trilogy join forces with their younger selves in an epic struggle to change the past - and save our future!